I like doing seasonal crafts with Monkey, but sometimes the typical kids crafts seem almost a waste of supplies. 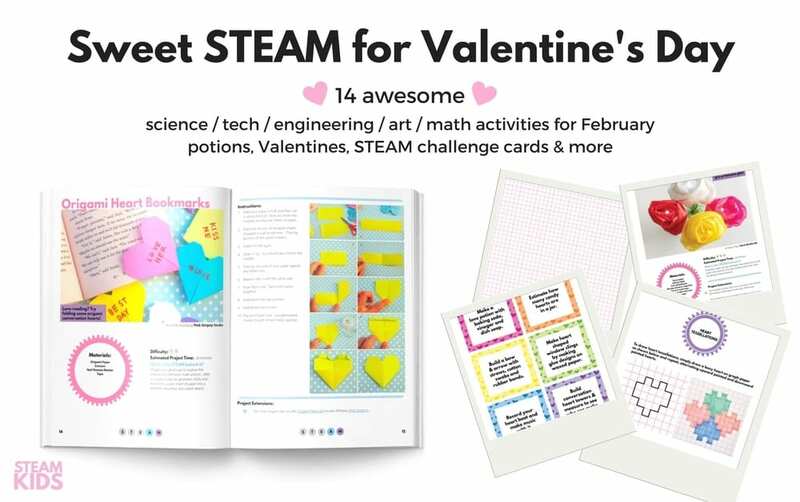 We have fun with the simple kid-style crafts often, but every now and then I like to mix it up a bit and make something that will last. When those crafts are also easy? Well, then they are for me. 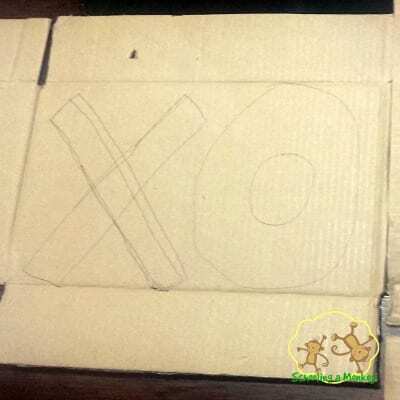 I saw some pretty crafts made with coffee filters a while back, and the day we made these crafts we had a lot of coffee filters, so Monkey and I came up with this design for coffee filter Valentine X and O decoration. The DIY Valentines decorations worked out great because it was super-simple, and Monkey could do nearly all of the steps by herself. Cut out your shape outlines. You don’t have to do XO if you don’t want to. Monkey made a heart cutout for one of her outlines. She decided that adding the filters to the letters and the heart was too much work though, so she ended up just painting it. Twist the coffee filters into a flower petal shape. We used brown coffee filters, because that is what we had. Brown created a more vintage-inspired look, while white would end up looking more watercolor-inspired. The center of the coffee filter will become the stem of the flower and the ruffled edges will become the petals of the flower. You will need about 50- possibly more depending on the size of your cutouts (ours are about 9 inches tall and 6 inches wide). 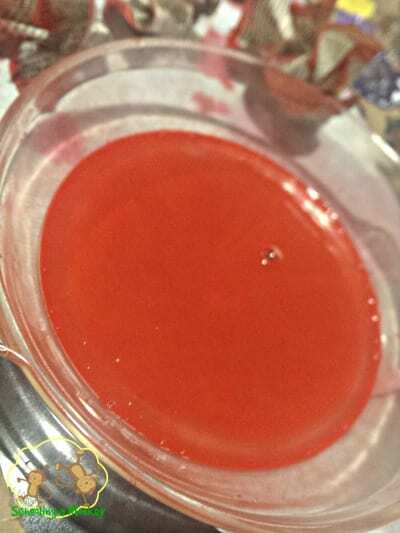 Pour about a quarter-sized amount of paint into your shallow dish. We used red and pink. Add enough water to create a soup-like consistency. Dip the edges of each coffee filter flower into the paint. The longer you hold the filters in the paint mixture the more of the filter will become saturated with paint. The paint will gradually fade and become less intense as the liquid nears the middle of the filter. We liked the look of dyed edges only, so we only dipped our filters for a second. Place the filters on paper towels to dry. 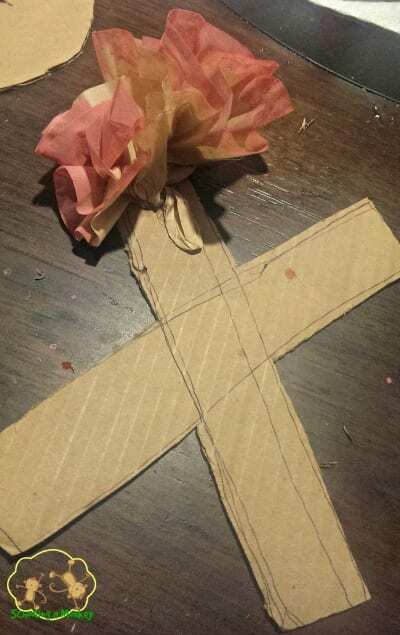 When the coffee filter flowers are dry, use hot glue to glue them to your shape. Start with the outside edges and work toward the middle. We worked from the top down and that seemed to work pretty well. After covering the entire shape, check for gaps and add in any necessary petals. Glue a short loop of twine to the back of each shape so you can hang them on the wall. We hung ours in our dining room. 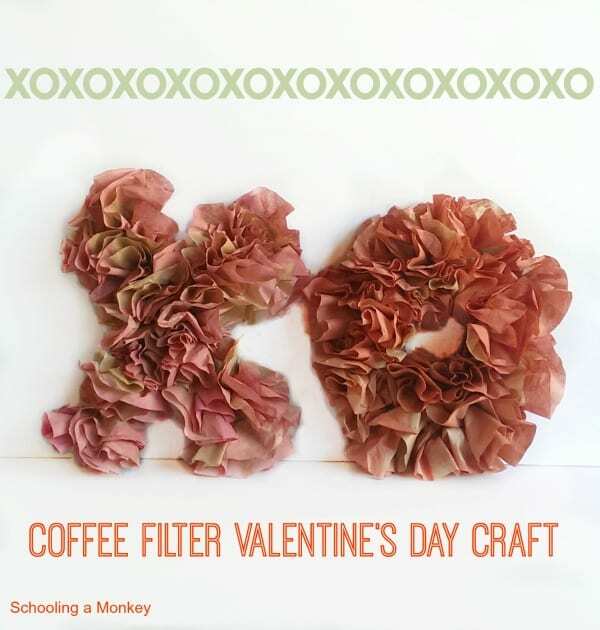 If you make this coffee filter Valentine decoration, share it with us on the Schooling a Monkey Facebook page! We would love to see your crafting endeavors!